As for the very first album, we have the magnificent album which is called "Kind Of Blue". It isn't merely an artistic highlight for Miles Davis, it's an album that towers above its peers, a record generally considered as the definitive jazz album, a universally acknowledged standard of excellence. In 1959 Miles Davis had already remade jazz in his own image several times over. The "Birth Of Cool" introduced a smooth, sophisticated approach, and then "Walkin'" heated things up again. But when he assembled an unprecedented all-star team (featuring John Coltrane and Cannonball Adderley on tenor and alto saxophones, and the masterful pianist Bill Evans) for the session that became the "Kind Of Blue" (1959), Miles left his most lasting mark! 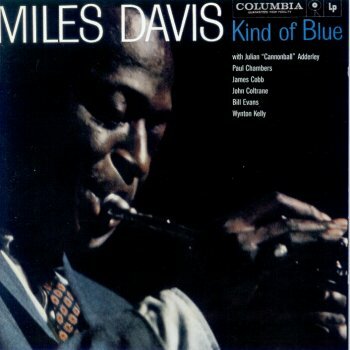 Finally, it must be said: "Kind Of Blue" is a glorious music result, the best-selling jazz disc of all time! 1. So What (Davis) 9:25, 2. Freddie Freeloader (Davis) 9:49, 3. Blue In Green (Davis, Evans) 5:37, 4. 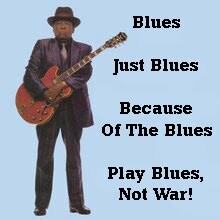 All Blues (Davis) 11:35, 5. Flamenco Sketches (Davis) 9:26, 6. Flamenco Sketches (alternate take - Davis) 9:31.